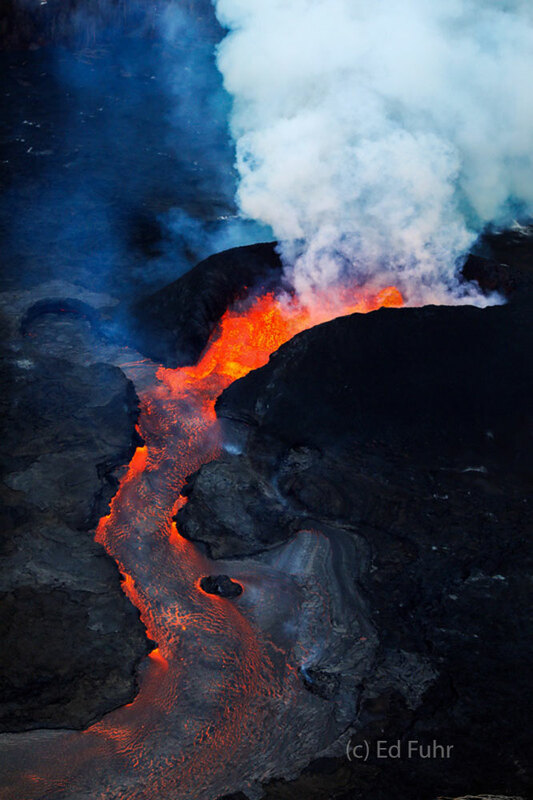 In the summer of 2018 the Big Island of Hawaii witnessed a large volcanic eruption and flow of lava to the ocean. 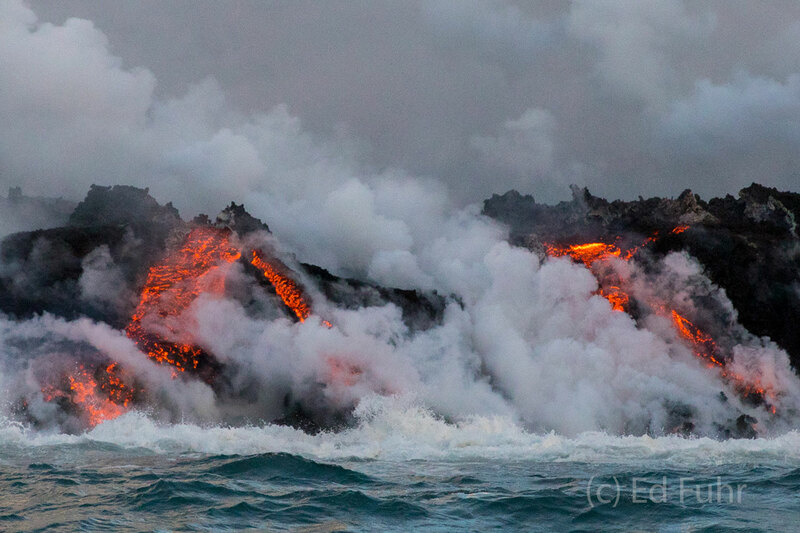 Here are some images captured flying above the fissures and from a couple of pre-dawn boat rides across a violent ocean sea to where the lava was making its fiery entry into the sea. A few days after my rides a chunk of lava exploded on water impact, hitting the boat and burning some on board. A couple of weeks later I explored the magical paradise that is Kauai, with its incomparable coastline, grand canyon and its rushing waterfalls. 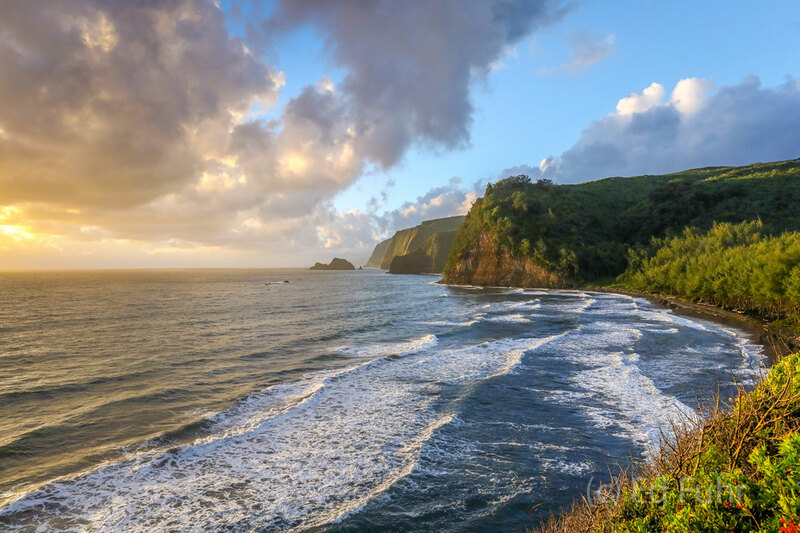 One of the most scenic trails on the Big Island, Pololu Valley descends a mile to the shore and across the valley before climbing steeply to the cliffs above. 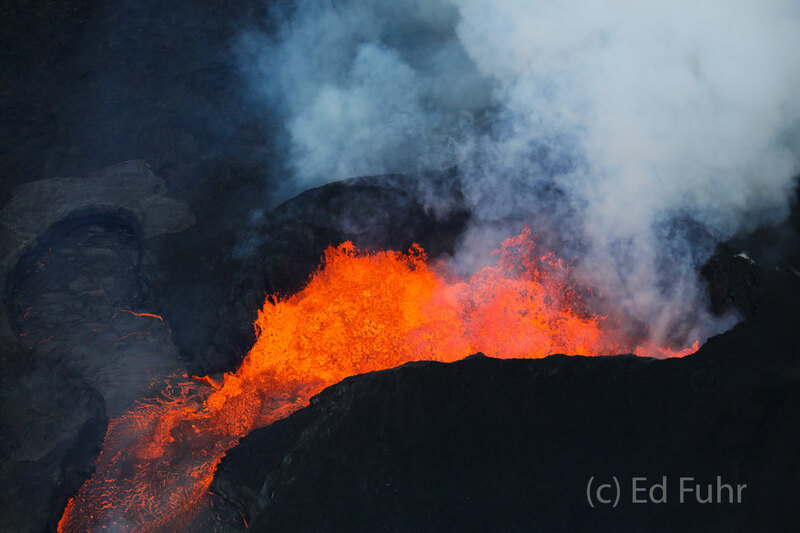 The incredible heat of this lava flow can be felt hundreds of feet in the sky. Thunderstorms that pass over the Fissure generate literally many hundreds of lightning strikes immediately over it because of the incredible column of heat. 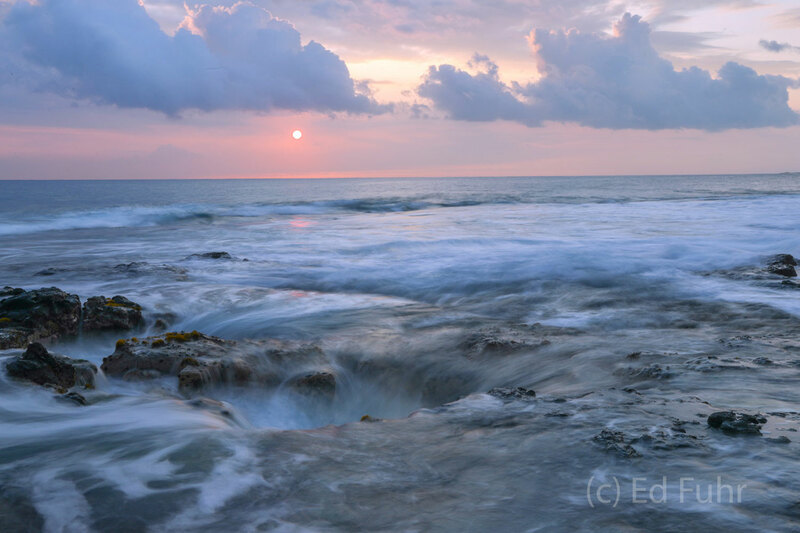 The molten lava below Hawaii's lava lake drained into tubes and chambers below the earth's surface following the volcanic eruption and daily earthquakes, finally pouring out of Fissure 8 where for months it would empty into the sea. 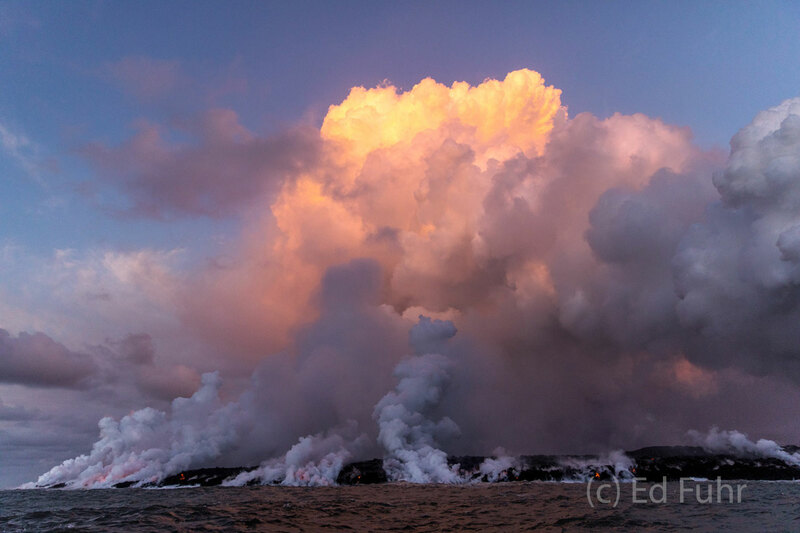 Hot steam rises from the molten lava as it enters the Pacific seas. 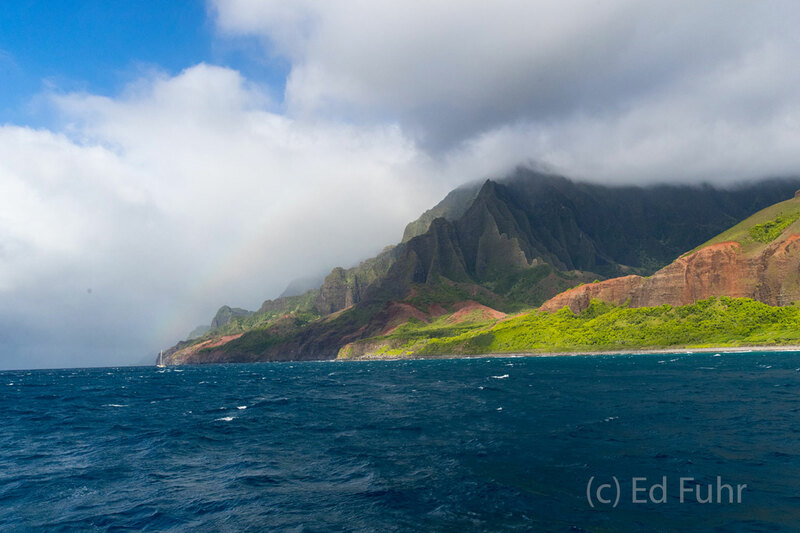 One of my favorite images of Kauai, this view of the coast captures its moodiness, color and rugged beauty. 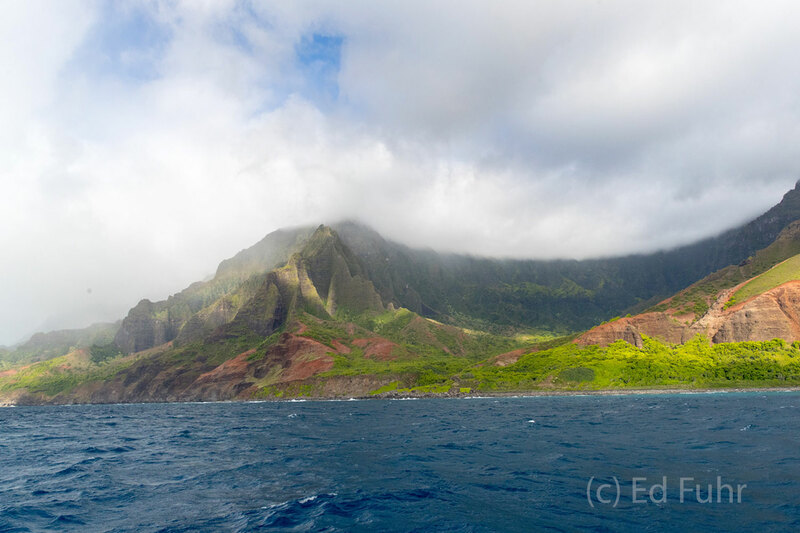 As you sail along the Na Pali coast, you find yourself fixated on the tall mountains to the north that define Kauai's northern tip. 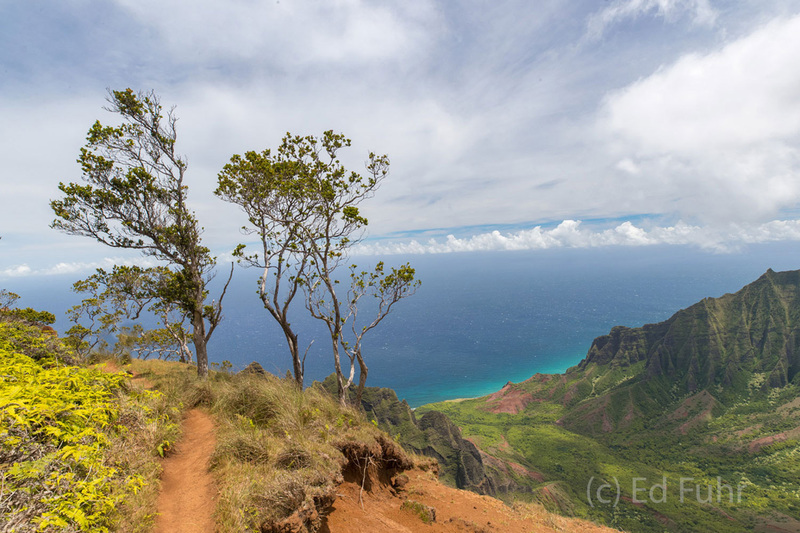 One of Kauai's spectacular trails, the Kalepa Ridge Trail wends its way across the increasingly narrow ridge line to an overlook along the coast. 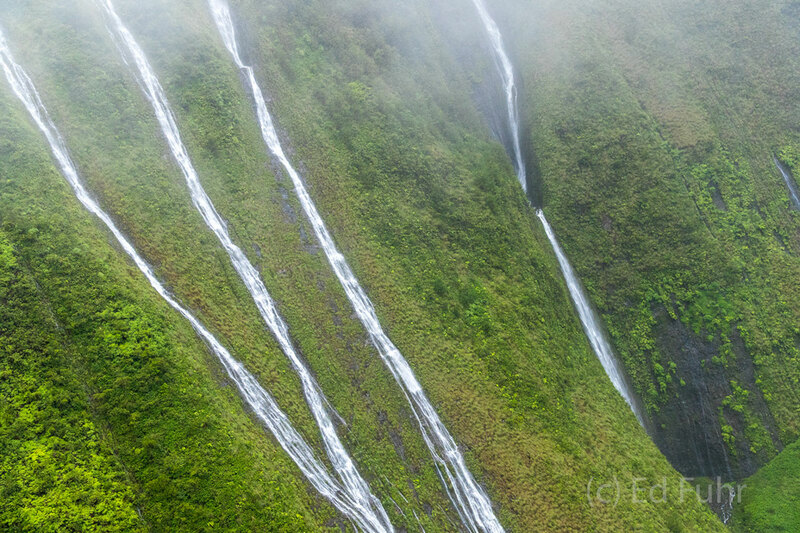 Heavy rains often create hundreds of waterfalls that will flow for a day or two down the steep green sides of Kauai's mountains. Here four waterfalls stream down a mountainside, a scene visible only by helicopter.